I may run a risk of sounding like a fanboy but Devdutt Pattanaik has once again proved that he is one of the most important mythologist of this generation. Like the previous edition, Jaya: An Illustrated Retelling of Mahabharata, Devdutt brings new prospective to the great epic of Hindu mythology connecting the world of magic, maya and superpowers with human values and cultural understanding. It was always believed that Lord Shiva was the first narrator of Ramayana. The book maintains that tradition when it is opened with a request by Goddess Parvati to Shiva to tell her the story which would bring peace to her mind. However Shiva’s narration is more like a preface (or we say a symbolic) and it is Hanuman who narrates the Ramayana in this book. The role of narrator is very important because narrator always brings his point of view on the table. In this book also, Devdutt brings the view point of different folk-tales about each episodes. For Jaya, he also pointed out the views of Indonesian and Thai folks, along with regional Indian versions, but this time he also included the view points from Western commentators. Specially why Ram is unpopular in West and other sexist judgments related Ramayana. The book brings new prospective to the concept of Ram. His role as husband has been questioned throughout the history but Devdutt justifies Ram’s action in a human level. Ram is about human potential, that in our full potential, what are possibilities of our human potential. In the previous avataar of Lord Vishnu, Parshurama was against rules and would destroy all the Kings who were not doing their duty. When Parshurama met Ram in Mithala, he retired as assassin because in Ram, he saw the ideal King. 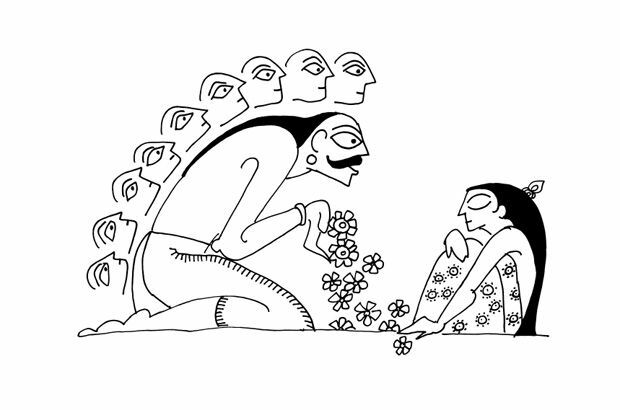 Again as Ram, Vishnu upholds the society with the rules and values. He brings in order what we call in Hindu legends as “Ram Rajya”. Then as Krishna, Vishnu taught us to bend the rules when they were used against the very society, they were made for. Hence, each avataar tries to reform the former self according to need of the world. Hence, it is important to see Ram in the larger picture of cosmology rather than just a God of an era. 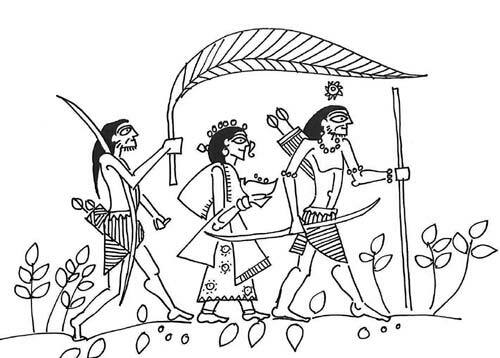 My favorite part of book is the introduction of Upnisads (Philosophical interpretation of Vedic learning) and the conversation between Ram, Laskman and Sita in the Jungle. It was interesting to see that they made best of their exile and expanded their mind in forest. 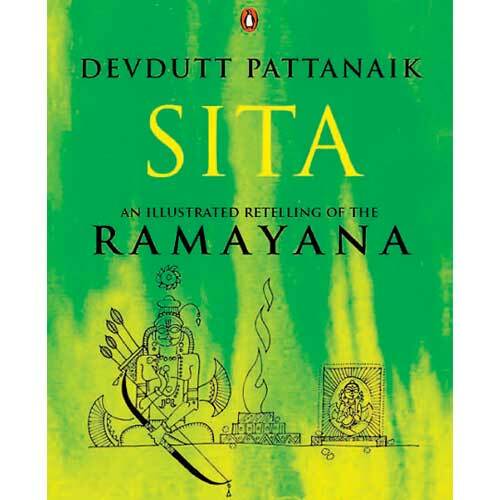 I have rated Sita: An Illustrated Retelling of Ramayana a 5 out of 5 in the goodreads . This book will really bring the peace and wisdom to you. A must read. Devdutt Patnayalk is always impressive. Good review by you. Yeah, I have read Shubha Vilas version. I saw is presentation of the book in India Non Fiction Meet and was impressed with his interpretation. Thank you for sending the link for the review. Previous Post What Happens When The Baker Gets Baked?